Every person naturally do not like if had to bear losses because wrong prediction or other reasons. Many traders are looking for a way to be always profit when trading forex. In fact, no one can control the markets or predict the future perfectly 100 percent right. However, there are two ways to make sure it's always profit forex trading in a certain period of time. 1. Do not calculate the benefit per trading position; but per period of time, for example, per week, per month, per 50 trading position, per 100 trading positions, and so on. Thus, we can free themselves from the pressure of having to win every time open positions. Loss multiple times is not a problem, because in a broader perspective, the profit obtained remain greater. So, in practice, a trader can determine, for example, will attract profit once a month when a month had close trading positions at least 20. The 20th position in trading-close it does not have to win it all. Could have been 2-5 of whom suffered losses, as long as 15-18 of them win, then the profit can still be brought home. 2.Don't trade with a large lot in the same hold; but subtract the big lot trading if are experiencing losses, then raise it again after profit. May be a trader has implemented the first tip, but still suffered losses because of the Win Rate system is very low. Well, if so, then try this second tip. For example, if a micro lot trading typically 4 per position, then after consecutive losses (say 3 times loss), reduce the number of lots so 3 micro lots per position.Next, if it wins, then raise again the number of the lot so 4 lot micro. These tips can boost endurance capital trading, especially if the initial accounting for a small supply of funds. In both ways it is implemented simultaneously proportionally appropriate capital and leverage, as well as our trading system, then he could be a way for forex trading always profit. 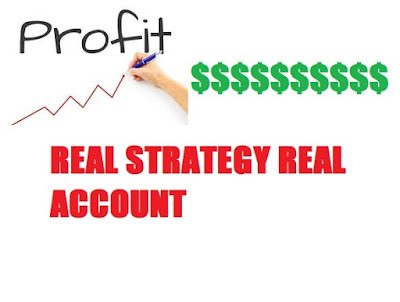 You do not need any more searching for a trading system with 100% accuracy that's just the illusion of it.